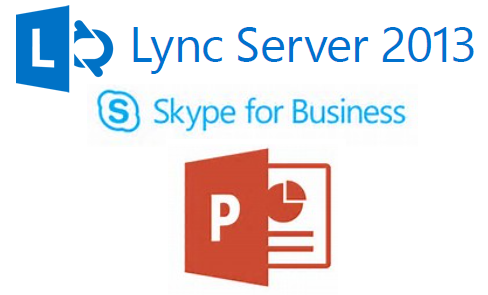 Folks, if you’re having an internal meeting and there’s a PowerPoint presentation that’s being presented, if you’re a fellow presenter (usually if you’re a coworker of the presenter) there’s a really good chance you already have access to download the .PPT deck directly from the Lync/Skype for Business meeting itself. You should be able to download the deck now. If you do NOT see any presentations listed, it is possible that the presenter has blocked the download of the deck for attendees or other presenters. Additionally by default within Lync/Skype for Business, all coworkers of the presenter are given download permissions to PowerPoint decks being presented, but your organization may have changed this default to disallow downloads. This won’t work if the presenter is simply sharing their screen via desktop sharing or application sharing. If they’re redirecting their screen to show the presentation, then this isn’t going to work because they have not uploaded the deck to Lync/Skype for Business. This may also not work if you are an attendee to another company’s Lync/Skype for Business meeting. By default, attendees do not have download permissions to the presenter’s PowerPoint deck unless they’ve explicitly provided permissions to do so.